The colour orange sits between yellow and red on the spectrum of light and as such shares the same warmth and richness as those beautiful tones. 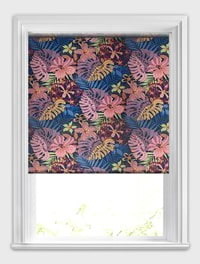 Our luxury collection of made to measure orange patterned roller blinds reflects this rich and warm colour and offers the perfect way to introduce a stylish pattern and a fabulous touch of orange loveliness into your rooms décor. With a choice of botanical and floral patterns, abstract designs, stripes, dots and circles, there is something for all tastes. So whether your home is a modern masterpiece or a more classically styled home our colourful orange blinds are guaranteed to bring the windows to life in the most wonderful way, and with our free fabric sampling service you can choose the perfect design for you. Great, easy service to use. Requested sample arrived quickly and placing order was very simple. Quick turnaround. Finished product looks excellent. 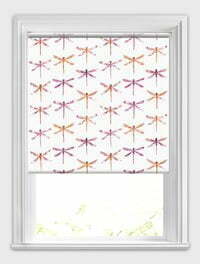 Blinds are of excellent quality, material and fixings all well made. The samples were a great help when choosing. Very pleased with blind, pattern spot on, good product. Very well made, and easy to install. I would certainly recommend you. I took a risk and ordered without asking for a sample and am absolutely delighted with my choice. 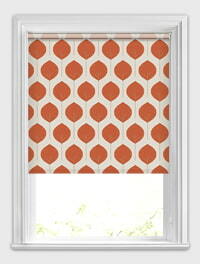 Easy website to use, the finished product is very good quality and looks great against my window. 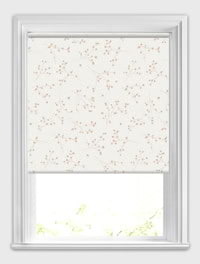 I researched a few on line companies and English Blinds were the only company to send me a proper sample of the wooden blind that I was interested in, this made selection so much easier than looking at a representative photograph.